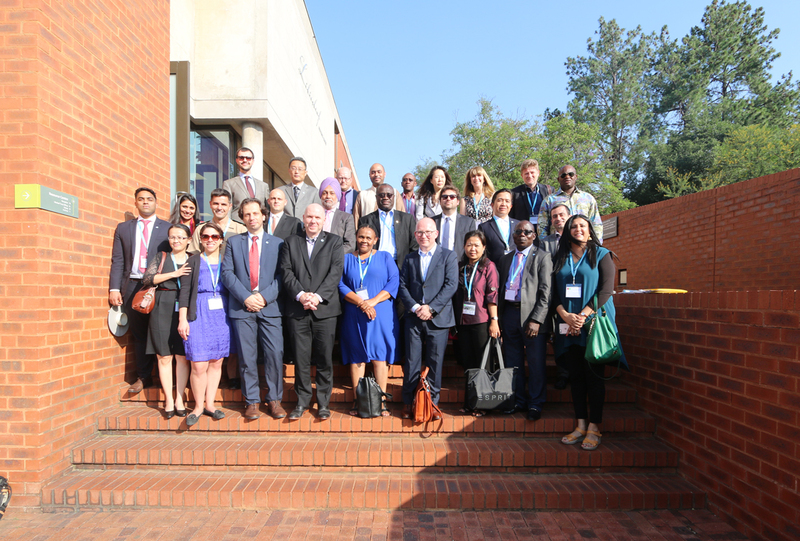 The Syrian Network for Human Rights, in addition to a great number of human rights groups, research centers and specialists in the principle of responsibility to protect, were invited to Johannesburg City in South Africa by the Global Center for the Responsibility to Protect in cooperation with the Department of International Relations in South Africa and the Swedish Ministry of Foreign Affairs. The meeting aimed to address this principle and to remind the international community and the United Nations with the importance of preventing and stopping genocides, war crimes, ethnic cleansing and crimes against humanity. SNHR’s chairman, Mr. Fadel Abdul Ghani, recounted the chronological events concerning the Syrian uprising. He assured that the current ruling regime did not only fail in protecting the Syrian people from crimes against humanity and war crimes, but it was the party who committed these atrocities in a widespread and systemized manner long time before the uprising turned to a non-international armed conflict. Not only according to SNHR reports, but also according to the first report of the International Investigation Commission of the United Nations issued on 23 November 2011; it accused the Syrian regime of committing extrajudicial killings, torture, and sexual violence. Nonetheless, the international community has given time for the Syrian regime through the Arab League Initiation, passing by Mr. Kofi Annan’s Six Point Plan for Syria, and then Geneva I, which were all breached and violated by the Syrian regime. The international community should have protected Syrian civilians.